When eBooks first came out, like all things tech, the sales shot up. There was talk that the print book was going out like the vinyl record (and you see they are coming back…). 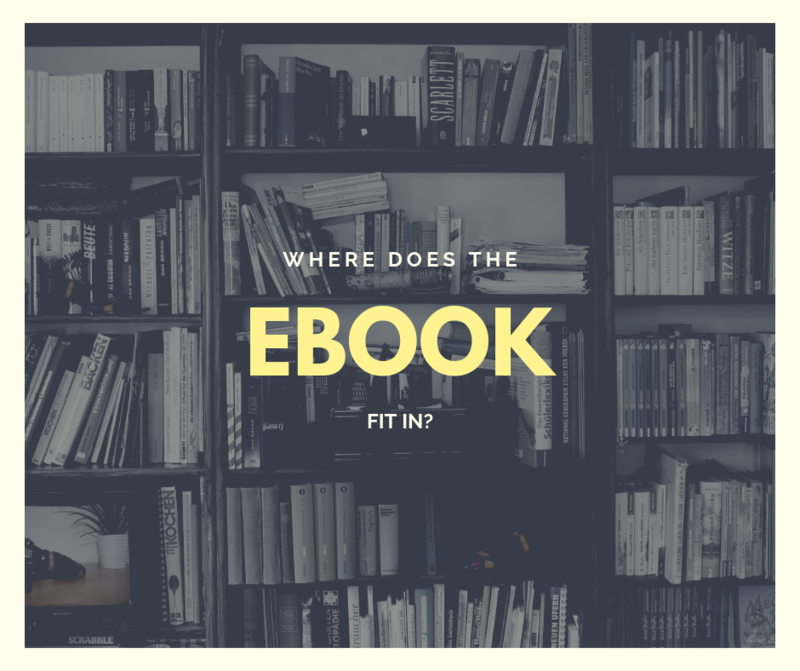 With the excitement of having light-weight, portable bookcases available at a reader’s fingertips, many people jumped on the bandwagon to experiment with this new technology. Now that consumers have had a chance to try out many platforms, sales have leveled out. There is no danger in the near future of print books going away. There is something exciting about being the first person to open a newly printed book, the smell of the ink, and the texture of the paper between your fingers. On the other hand, when traveling, it’s great to have one device that can reach into my bookcase or library, so I am never left without something to read. And when the eBooks are synched on my phone, I am not as frustrated with a long wait at the doctor’s office or when stuck in line at the store. I pull up my most recent book and get lost in the story. I’m one of those people that have at least three books going at once: a printed book at home, audio book in the car, and eBook on my tablet and phone. Some people can’t handle that chaos, but it seems to work for me. As a writer, why do you care about the trends? If you are traditionally published, your publisher will worry about those decisions. If you want to self-publish or go hybrid, you need to know where to spend your time. My two-cents, if you are going to go through all the work to put together a professional book, have it edited properly (a MUST), and design a good cover, you would be wasting money not to do both eBook and print. With Print on Demand options, the seller no longer has to shell out a large sum of money up front in order to store books in a warehouse. Once you set up the files, let the POD do the work for you. If it sells, it sells. If it doesn’t, you only had the cost of the setup fee and the ISBN. By the same token, you did all that work for a print book, why not set up on eBook? But you need to realize the layout rules are DIFFERENT for print and eBook. Learn the differences or your eBook will look unprofessional, and you will lose your audience. There are some variances you may not have given any attention to if you are a reader of both formats. Printed books often have a blank page inserted in order to ensure certain pages start on the right (recto) side of the book. Odd number pages, the title page, foreword, table of contents, and the first chapter should always start on the recto side. Some publishers start all chapters on the right side, but that varies. If you forget to take out the blank pages when you convert to eBook, it will look like an error. And it’s annoying to the reader. Did you even notice that eBooks don’t have page numbers? That’s because the e-reader reformats the pages depending on the size of the tablet, the font, and many other variables. This is especially important to realize if you are trying to reference a page number in your writing. For an eBook, you should insert links to take you to the referenced spot, rather than directing the reader there. eBooks generally don’t like tables and graphs. You must first turn them into pictures, then insert them using the rules above. Software has been developed specifically to make eBooks, or you can hire out that part to people that own the software and use it often. It might save you time and frustration. Print and eBooks are here to stay. Learn how to take advantage of both.